With over 25 years of design and business experience, BJ applies a creative and practical philosophy to his design. BJ uses distinct style elements, an eclectic mix of materials and balance to create beautiful, functional kitchens. His goal is to translate his customers’ needs, lifestyle demands and personal taste into a design they will enjoy for many years. 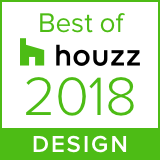 BJ is listed in the Michigan Interior Design Directory and was selected as the designer for the Main Street housing project in downtown Ann Arbor.